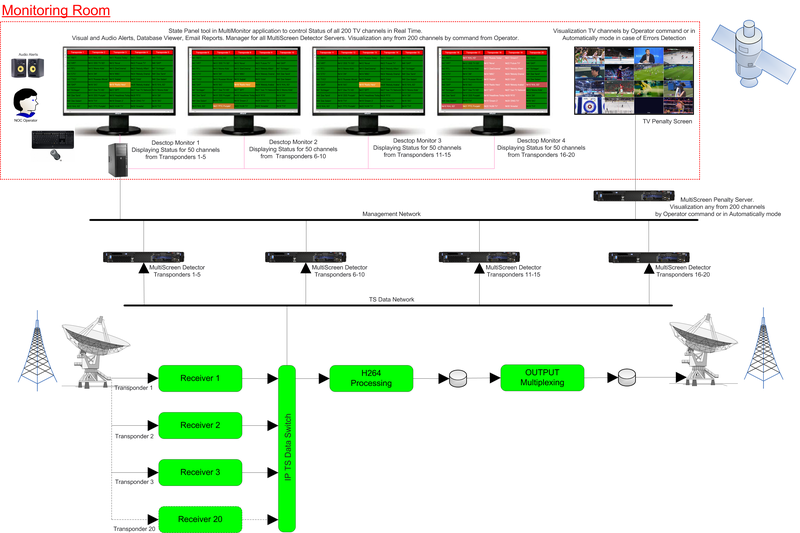 MultiScreen allows building Monitoring Solution without visualization of all TV channels. 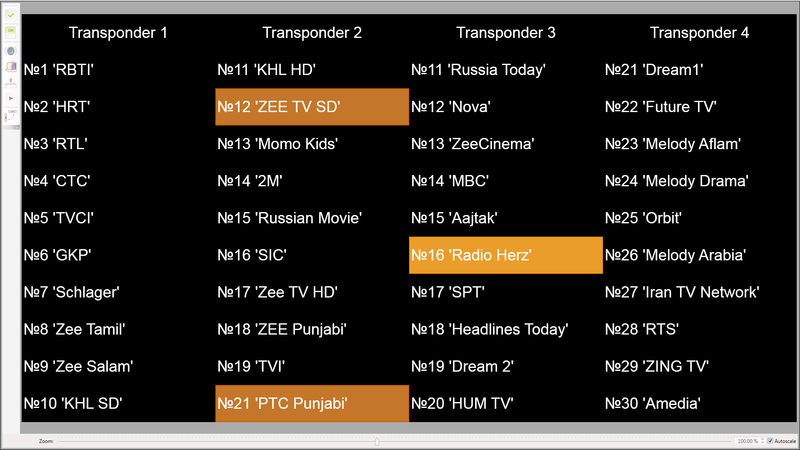 In this case all TV and Radio controlled channels will be displayed as "Cells" in State Panel tool - MultiMonitor. Also, any channel can be visualized on Penalty Screen in manual mode (according to selection, done by Operator) or in automatic mode (in case of Error Detection). 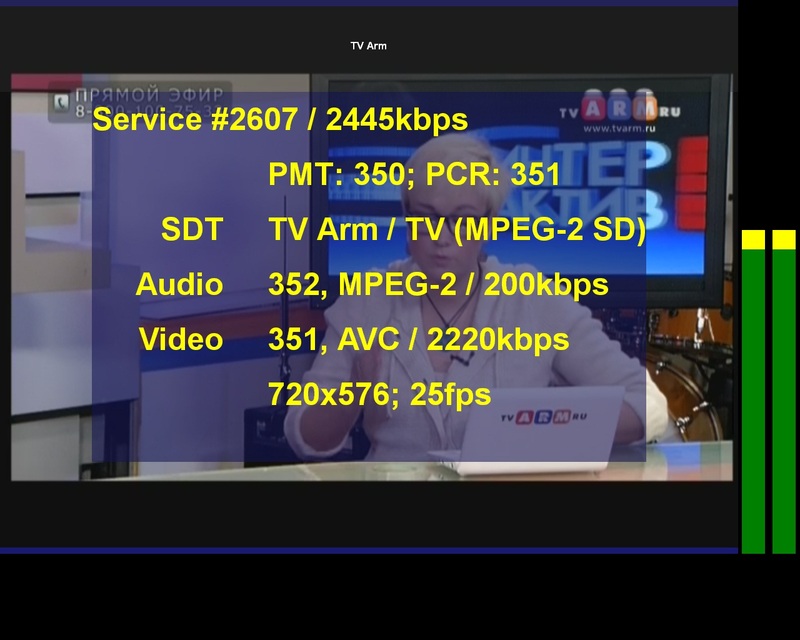 In such configurations main work is being done by remote application MultiMonitor, which receives information about controlled TV channels from the servers. 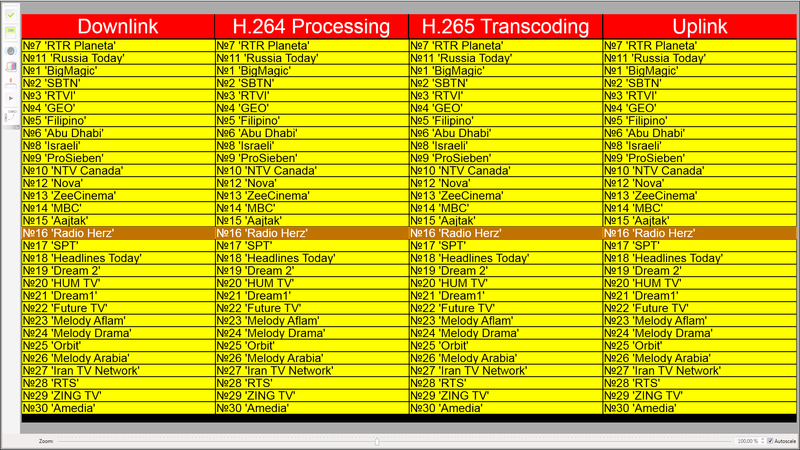 This functionality is unique and can significantly optimize the task of monitoring of large number of TV channels. 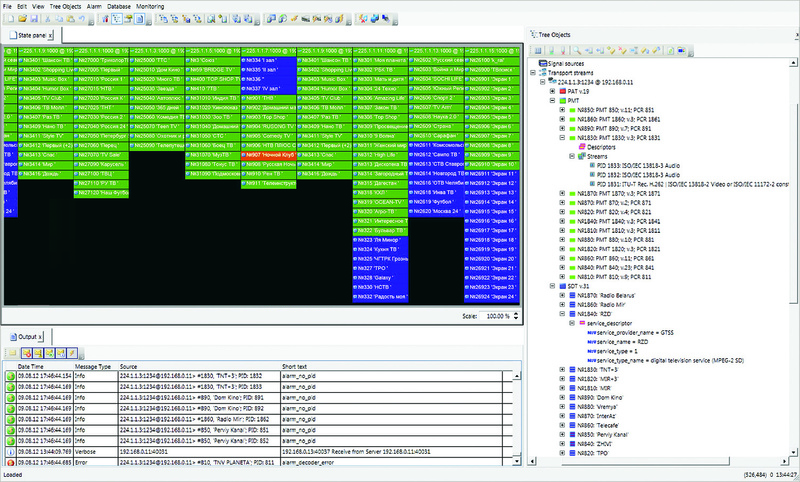 Free of charge client application MultiMonitor provides interface for work with MultiScreen database and allows controlling state of all parameters for all deployed MultiScreen servers. In some particular configurations MultiMonitor also allows dynamic alteration of the set of channels, which are visually monitored on LCD panels. 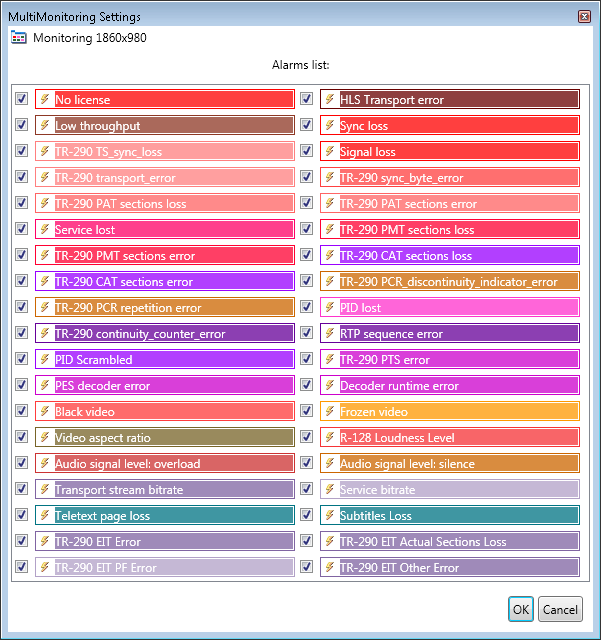 This unique functionality allows solving problem of monitoring of large number of channels with minimal effort. 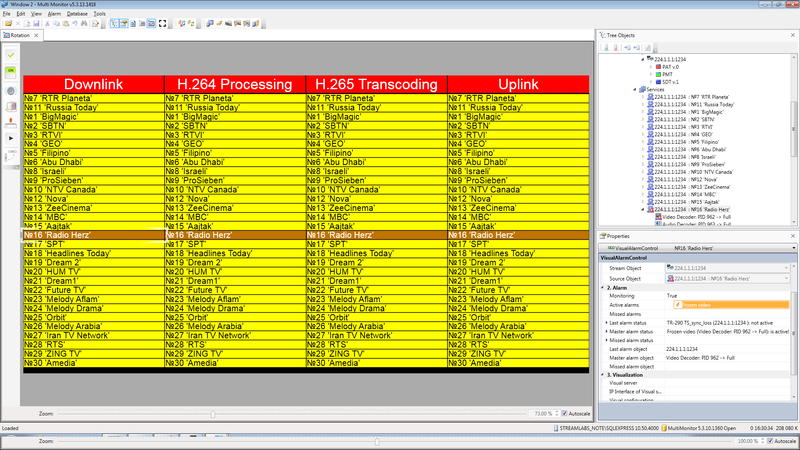 While operating in configuration mode, client software MultiMonitor allows controlling all available signal sources at remote MultiScreen servers: cards’ inputs; IP interfaces, including actual PAT, PMT and SDT tables. 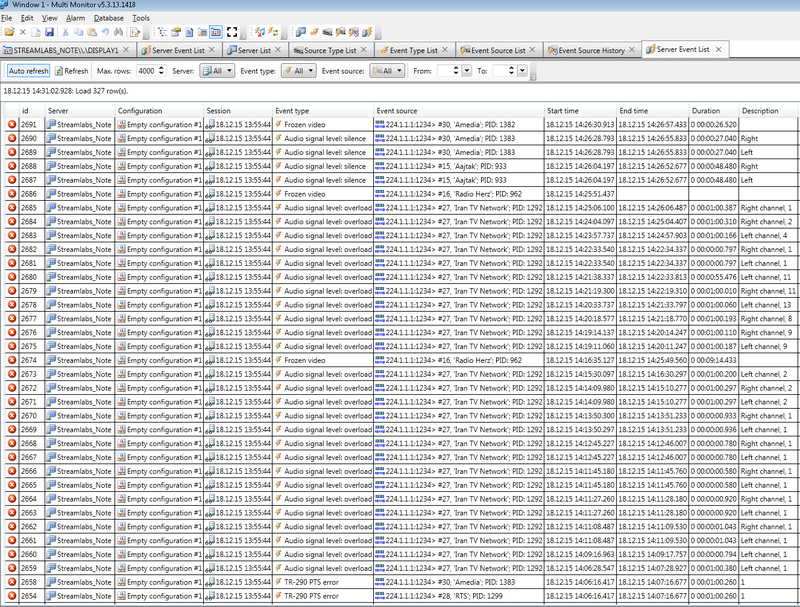 Using special set of parameters, built-in editor can create new configuration for displaying of selected channels in a matter of couple clicks. 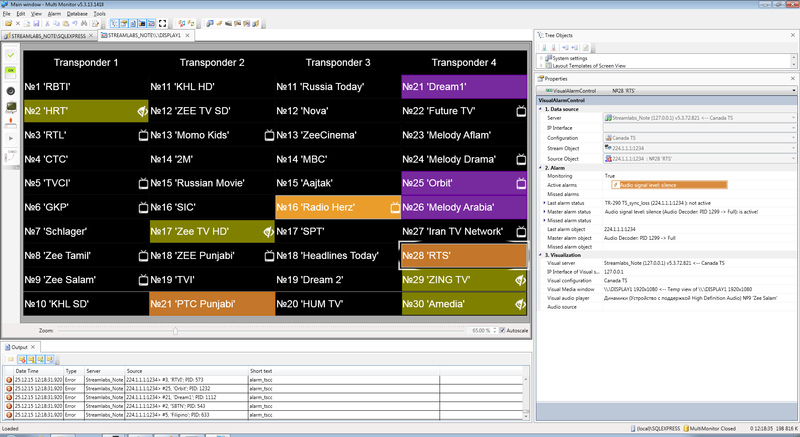 Database View - all Events and Errors from MultiScreen Detectors are saved in database.